WE'LL REACH FOR ANY DEAL!! 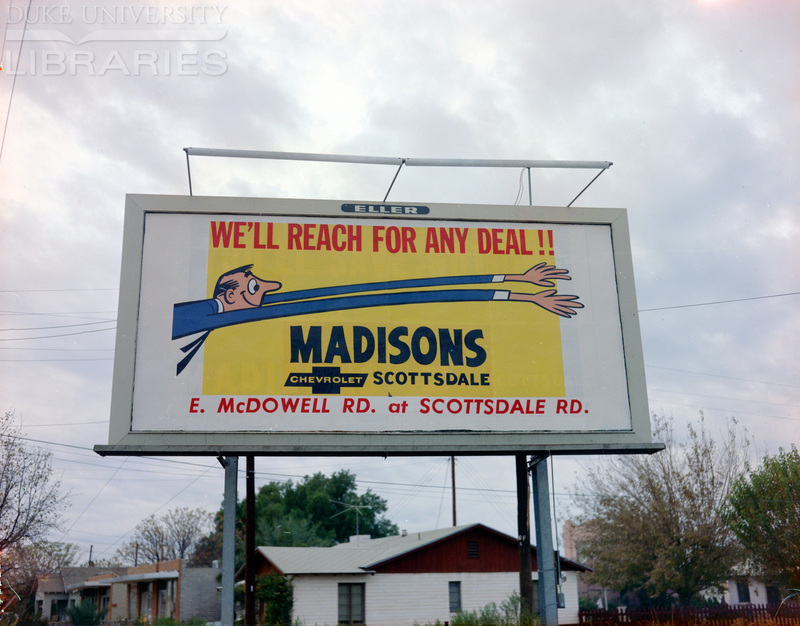 Drawn European American man reaching across billboard with long arms. “WE'LL REACH FOR ANY DEAL! 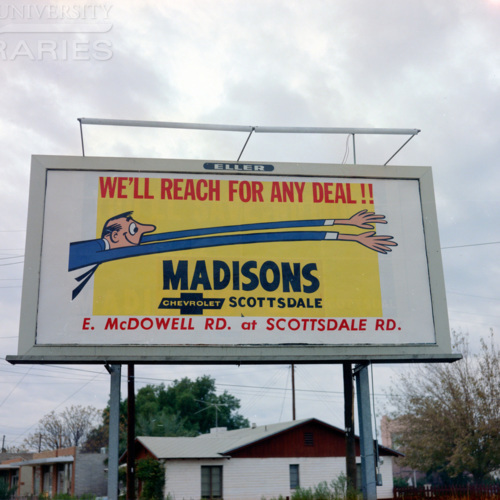 !,” Race & Ethnicity in Advertising | America in the 20th Century, accessed April 24, 2019, https://raceandethnicity.org/items/show/829.